JULY 28, 2015: A 24 year-old man by the name of Raymon Carter was arrested in Baltimore, MD. Carter was accused of setting a local CVS on fire. Only a week after the death of Freddie Gray, there had been riots all over the town. This caught the attention of the entire world. midst of violence during the weeks after Freddie Gray’s death. The CVS was located at an intersection of Pennsylvania and North Avenues. 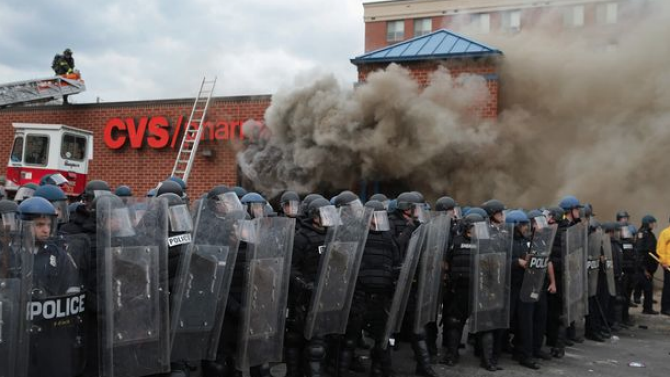 CVS will donate $50,000 to local Baltimore non-profit organizations to rebuild the city. I believe this can happen in DC. I feel that this whole situation was out of frustration. Everyone was enraged by the death of Freddie Gray. I believe Carter should get a break because there were more people than just him involved. Leroy King III is a freshman at Friendship Collegiate Academy. Should the Baltimore rioters get a break from the law? Yes, it was an act of protest! No, the law is the law.